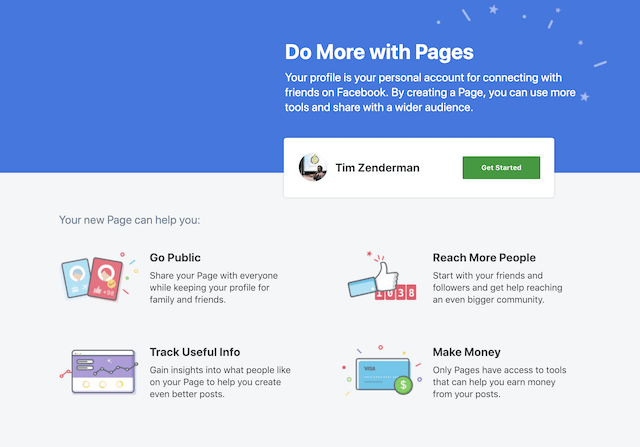 If, like many, you fell into the temptation of creating a Facebook Profile instead of a Facebook Page, and now realize the grand benefits of having a Fan Page, don't worry, we are here to help! 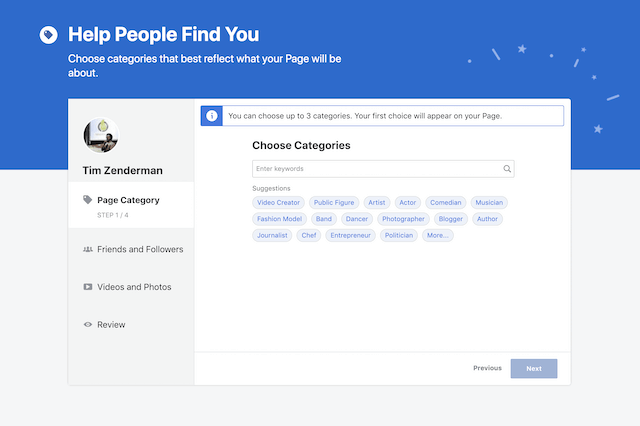 Facebook has given us a tool to migrate and create our Fan Page without losing a single friend. Woohoo! Start Migration from Profile to Fan Page! Here you have to choose your category. You can choose up to three, but only the first one will appear on your Fan Page. Facebook finally added Hostel as a category! So you no longer need to choose Hotel and explain in the Info. Now, you have to choose which of your friends do you want as followers. You can select or unselect all, or choose one by one. 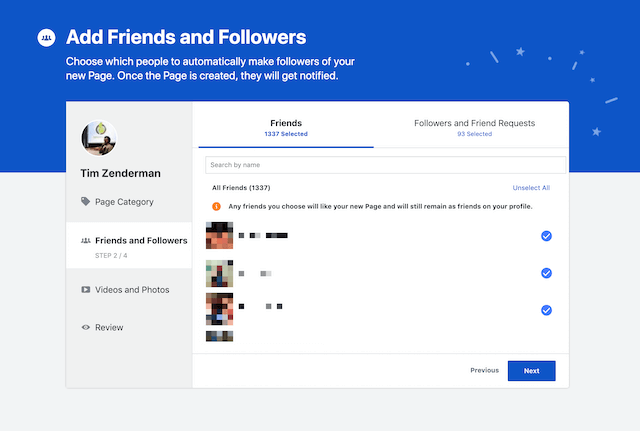 You can also select people from your Friend Requests. This is a great thing that Facebook incorporated. 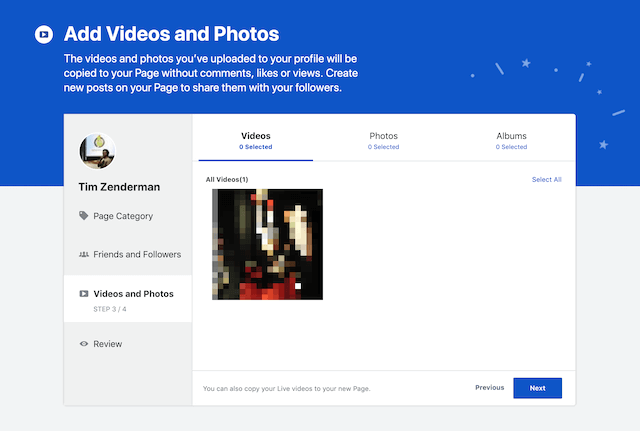 Now you don't need to download a copy of your Profile to save your photos and videos. Here you can select which of your Photos, Videos or Albums do you want to migrate. This is a good chance to review all the content you have and decide if you want it all in your Fan Page, or not. You don't need to be as radical as Marie Kondo. Review all you have chosen and selected. If everything's right, just click Create Page! 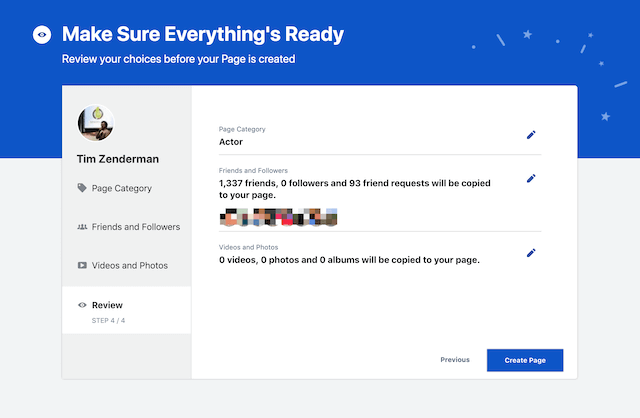 If when you first see your new Page, you only see a small number of your total friends now as fans: Don't panic! In another couple of days, the migration will finish up and all of your old friends will now appear as fans. If after a couple of days, it still hasn't worked, report it to Facebook by opening the dropdown menu again (from the top right corner) and clicking on Help. Then follow the steps to report a problem. In fewer cases, but it can happen, the Fan Page or Profile will disappear altogether. But do not fear! Report it to Facebook as described above and they'll take care of it. Questions, concerns? Leave us a comment!